Designed to meet fast-growing demand for affordable, easy-to-use video production equipment, the HXR-MC88 offers latest generation imaging performance at breakthrough pricing for a wide variety of Full-HD applications. MC88 is an ideal camcorder for teaching video production, recording corporate or government presentations, vlogging and even video enthusiasts taking the next step forward. 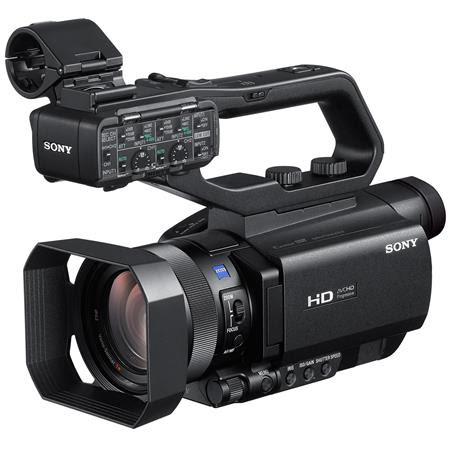 The HXR-MC88 camcorder is lightweight and compact, but fully featured with Fast Hybrid Auto Focus, dual XLR professional audio, built-in ND filters and powerful 48x zoom (Using Digital Extender feature, which gives additional 2x magnification) for easy on-the-go shooting. A big 1.0 type Exmor RS sensor with BIONZ X processing engine offers superb light sensitivity, delivering bright high quality Full HD imagery that makes an immediate impact. A super high resolution OLED viewfinder and 3.5-type LCD give you complete confidence when shooting. Next Post EGaming, the Humble Humongous Entertainment Bundle is LIVE!